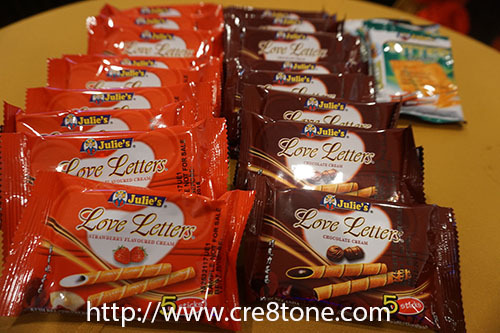 Julie's What's Your Love Letter? "Spread Your Joy; Share Your Love"
"Bring Home Blessing Home" on the spot. 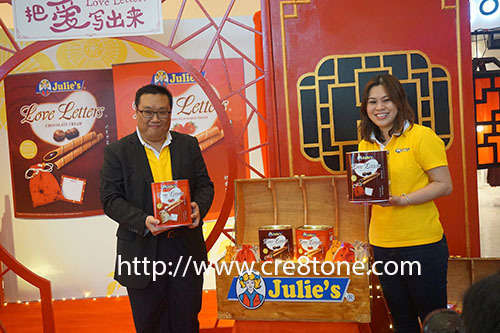 Senior National Sales Manager of Julie's Biscuits. Or post it to Julie's mailbox. To win a 24k Gold Fortune Pouch Charm bracelet. 10 lucky winners will be selected weekly. And a limited edition 'Fudai' woven bag!! Visit Julie's Biscuits Facebook page. What a nice treat for valued customers! Spread the love! I would love to try these, the chocolate really does look delicious. Yum, I just love chocolate! 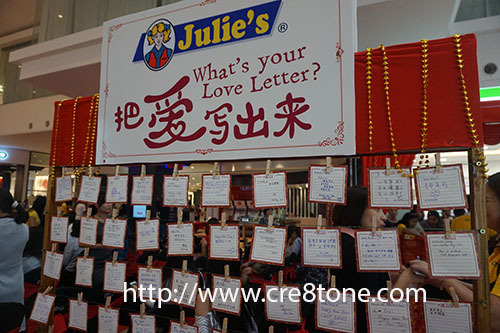 I want to try Love Letters from Julie's. It looks really tasty! So yummy! I love chocolate!! This sounds like a great campaign especially with valentine's day awaiting us next month. Aww, what a great idea. Maybe this year for Valentine's Day I'll write kind letters to all of my family and friends to remind them that I love them! Great idea I really like this. We sometimes forget to tell our loved ones how much we love them. Such a great idea I really love it. We sometime tend to forget to tell our loved ones how much we love them. This seems to be great idea for a holiday like Valentine's Day, which is nearing. I'd like to try this. Such a cool campaign for Valentine 's day! Love letters and chocolate are a perfect mix! This is a really nice treat. Makes a great V day gift! This is so needed. We need to express ourselves more often like this... Plus you can never go wrong with chocolate. Wow this looks so awesome. I wish i lived nearby to a store so I could grab mine before they are gone! 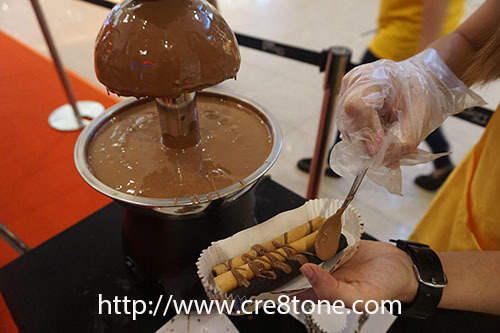 The melted chocolate looks so amazing I don't know that I have a love letter per say. I just know how important it is to tell people we care about that they really mean something to us. I read one comment that said her favorite love letters are the ones that come with chocolate. I think I must agree! This looks like a fun idea. I love this love campaign. Just in time for Vday I would love to participate! How lovely! Such a cool idea! 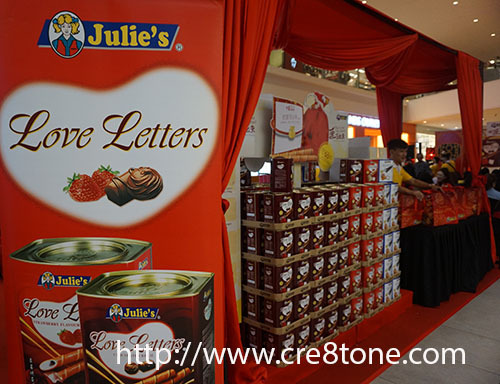 I love the idea of a chocolate and love letter mix! Yum! Sounds like an awesome event, perfect for spreading the love during this month. I think it's really fun and sweet to be able to write a love letter for your loved ones!